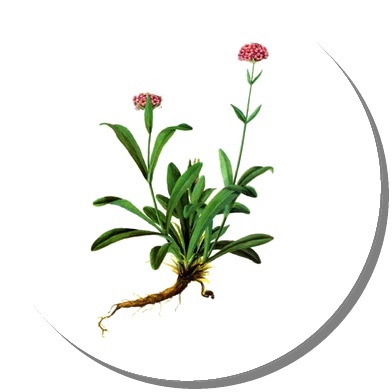 Oil of Spikenard is a spiritual oil that is relaxing. o It was highly regarded in India as a perfume, skin tonic and supports health. o Spikenard was one of the last oils received by Jesus before his arrest. - A potent remedy for many skin ailments that result from bacterial infections. It not only works on the skin, but also helps terminate bacterial growth inside the body as well. It can be applied on wounds to protect them from bacterial infections and is found to be effective in curing bacterial infections in the urethra, urinary bladder, and kidneys, as well as in the treatment of Athlete’s Foot, cholera, food poisoning, septic, and tetanus. - It helps to cure ailments caused by fungal infections on the skin and inside the body, including food poisoning by fungus, dermatitis, patches on skin, itching, deformation in the skin, and psoriasis. - The earthy and mossy fragrance of the essential oil of Spikenard is pleasant to the nostrils and the mind. It is very soothing on nerves and mind and gives a comfortable feeling. Such a fragrance would be used as a deodorant. - Furthermore, it is not harsh and does not give you headaches or allergies like many synthetic deodorants do. - Constipation or improper excretion is the root of almost seventy percent of ailments that we suffer from. It is mentally and psychologically disturbing as well. Laxatives are there to help, but many of them (particularly the synthetic ones) are very harsh on the entire digestive and excretory system and dry out the inner walls of the digestive tract, the intestines and the excretory tracts by washing out the mucus membrane. - helps maintain your physical, mental and psychological balance. It sedates inflammations in the digestive and nervous system, irritations, nervous afflictions, convulsions, depression, stress and feelings like anxiety, anger, and panic. It also sedates cardiac problems such as abnormal palpitations and restlessness. - These sedating and relaxing effects also helps patients of insomnia to get healthy sleep. We also supply Dementholized Peppermint Oil for other manufacturing uses (Oral, Confectionery, Pharmaceutical, Tobacco, Perfume, etc).